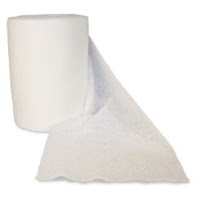 Ever wondered about flushable and biodegradable liners for cloth diapers? In the past I have heard that if you add the expense of using them they'd just defeat the whole purpose of using cloth in the first place. I don't really agree. Many of the reasons moms give up on cloth diapering is because of stinky diapers, laundry issues that they can't seem to resolve, or they see their diapers wearing out and don't think they'll be saving as much money as they thought they would. Flushable liners actually help make cloth diapering easier and they are available for purchase at many of our Knickernappies retailers. Liners give something the poop to stick to besides just the inside of your diaper. They often can be pulled off and flushed away, sometimes you won't even need your diaper sprayer. They help prevent and reduce staining because the poop doesn't get as embedded in the fleece or microsuede liner. They make washing SO much easier because you'll have less solid waste that needs to dissolve from the diaper and be rinsed out. Since your diapers won't be as soiled, you'll have less odor issues. You might hear families complain that they don't work. Truth is, they sometimes can bunch up and miss the poop completely. However, they range in price from $4.95 and up per roll for 100 sheets. That's approximately .05cents per diaper change. Keep in mind that some are able to split a sheet in two, depending on the size and brand, and get twice as many uses out of a roll. I think that even if they don't catch the solids every time, the times they do make them so worth it. I recommend every family try flushable liners at some point. I recently started using flushable liners when my daycare agreed to cloth diaper for me. They are not allowed to remove any solid waste per state regulations so I figured this way if he poops it'll be easier to get out when I get home. It has worked wonders and I now use them at night as well since this is his normal poop time.